YOUNG BARRE and BARRE SOCIETY provide educational, philanthropic, and social opportunities for young community members. Interested in gifting a Barre membership to a young person you know? Just enter their name and birthday when purchasing to share a year of exciting experiences. For more information about BARRE SOCIETY, email Megan.Sickler@tulsaballet.org. Members of Barre Society are invited to many exclusive behind-the-scenes experiences throughout the course of the Tulsa Ballet season. This list covers a sampling of those events. Dates are subject to change. 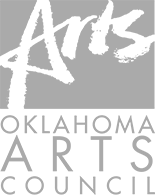 For more information about specific events, email Katie.grassmyer@tulsaballet.org. 10% discount on merchandise in Tulsa Ballet’s Leaps & Grounds gift shop. Discount cannot be combined with other offers. Valid only at the Brookside and Broken Arrow locations, not valid at performances. * TO REDEEM TICKETS ASSOCIATED WITH YOUR MEMBERSHIP, PLEASE CALL THE TULSA BALLET BOX OFFICE AT (918) 749- 6006. PLEASE HAVE YOUR MEMBERSHIP CARD AVAILABLE.